Biomedical Engineering has raised $ 2,350 from 21 gifts! Duquesne University's biomedical engineering program is select and focused on high quality curriculum and meaningful research experience. Graduates will be well-prepared for careers in healthcare, manufacturing, research and government as well as graduate studies, law school, medical or other professional doctoral programs. 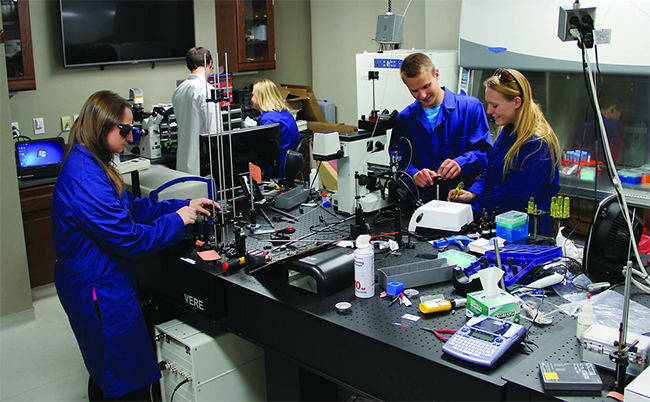 The Duquesne University Biomedical Engineering Program provides our students with a rigorous education in mathematics, science, engineering, and the liberal arts in line with the Spiritan ideals of service to others. Our students are actively involved with our research goals to improve human health, building upon their formal education to ultimately serve God by serving others. Your gift to the BME program will greatly help our efforts and have an impact on our students. Donations allow us to provide scholarship assistance, fund equipment and technology and enhance the student research experience.